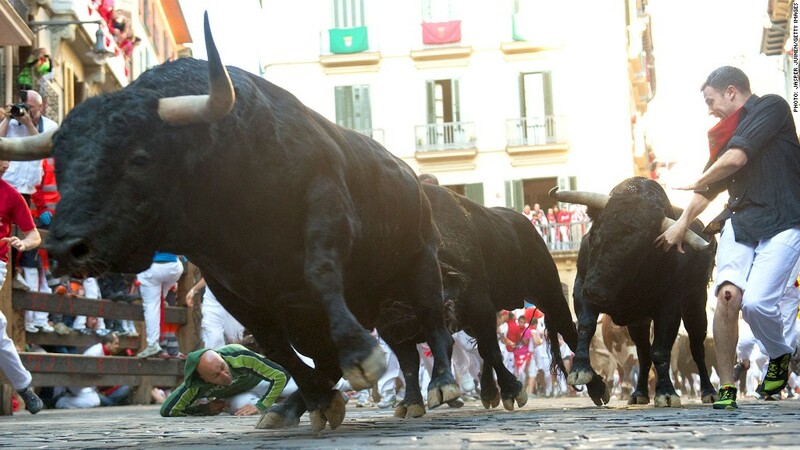 The running of the bulls on Wall Street isn't over yet. It may be the most hated bull market ever, but it's not over. That's according to Michael Hartnett, chief investment strategist at BofA (BAC) Merrill Lynch, who argues that stocks will continue to hit new highs this year. "I'll go on record saying this is one of the most detested bull markets of all time," Hartnett told reporters Wednesday at a conference in New York. It may sound strange that investors are unhappy with a market in which stocks have hit all-time highs. But some traders say the bull market, now in its fourth year, has gone on too long and needs to be corrected. Still, just because some of the guests want to go home doesn't mean the party is over, according to Hartnett. The prediction comes at a particularly volatile time in financial markets. Investors have been grappling with uncertainty since Federal Reserve chairman Ben Bernanke hinted in May that the central bank could begin to taper the pace of its bond buying. There are also questions about the Japanese government's commitment to monetary and fiscal stimulus, and signs of weakness in the Chinese economy. Hartnett acknowledged that the outlook for U.S. interest rates is a risk. The yield on the 10-year Treasury note has pushed higher in recent weeks as investors brace for a slowdown in Fed purchases. But he argued that the era of highly accommodative central banks is not yet over. That, coupled with continued modest economic growth, should continue to propel stocks higher, said Hartnett. In addition, he expects the "great rotation" out of safe-haven investments into more risky assets will continue to support stocks. Hartnett said the recent boom in the U.S. housing market is a "very reliable leading indicator" for the economy. The strength in housing means the financial sector will lead the market as investors move back into shares of banks that had been beaten down during the financial crisis. "The banks were like a ghetto that investors refused to enter," he said. "But they've been the best performers over the past 18 months." Meanwhile, the bond market is now the no-go zone for investors. Hartnett said global fixed income assets are down for the year, with global government bonds on track for their worst decline in 30 years.